My first attempt at a homemade flower crown. 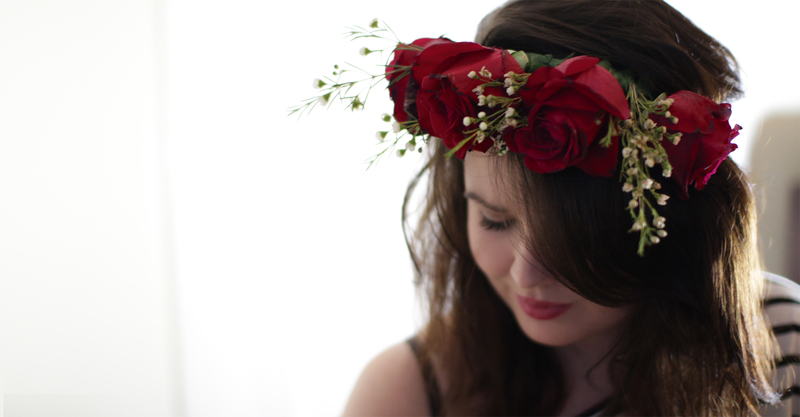 I noticed my valentines roses’s were starting to wilt and I didn’t want to throw them out just yet, so I took the opportunity to try my hand at a floral crown head dress. 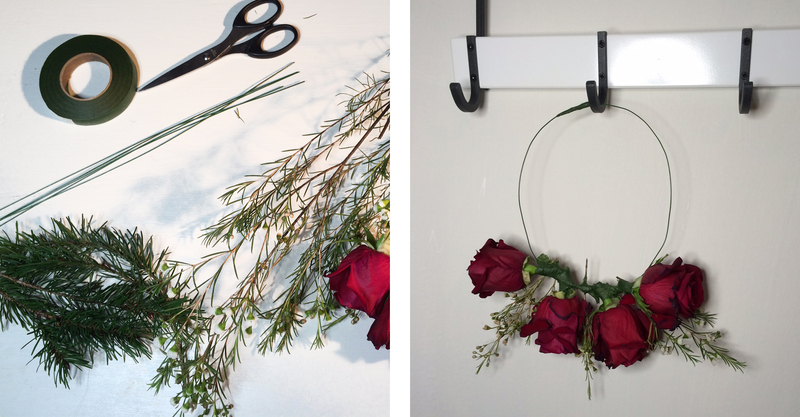 I have swooned over images of floral crowns online for weeks and I love the look, so with a little florist wire, florist tape and a lot of messing around I managed to make my own. 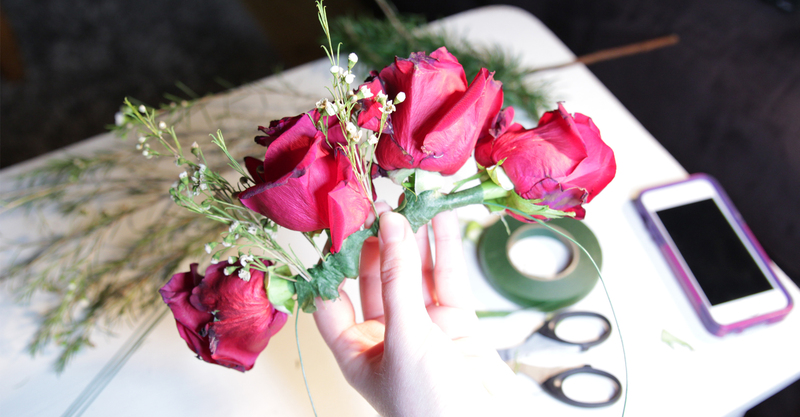 I need a lot more practice and I can not wait to give it a try with a few lighter, fresher spring flowers.